Swarovski Kristallwelten (Swarovski Crystal Worlds) was the first time opened in 1995 and since then the touristic destination has become one of Austria’s most popular attractions with an average of 600.000 visitors annually. 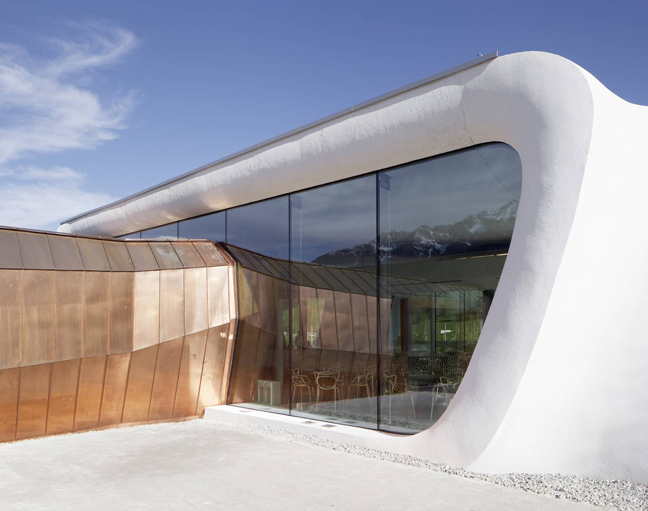 On the occasion of the Tyrolean family-owned company’s 120 year anniversary this year, Snøhetta has been commissioned to take part in the expansion leading up to the grand re-opening of the Swarovski Kristallwelten on April 30. 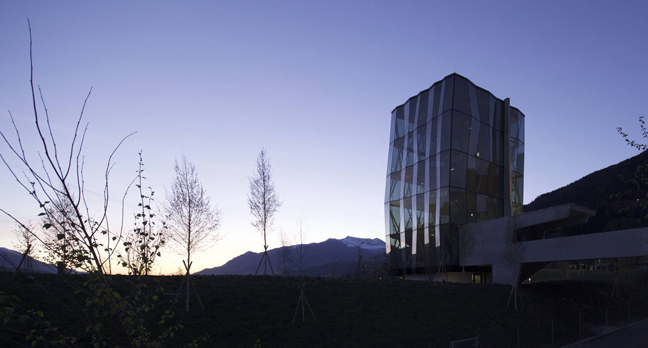 Swarovski Crystal Worlds has put together a team of three architectural firms, including CAO PERROT, s_o_s architekten, and Snøhetta. “Snøhetta, CAO PERROT and s_o_s architekten have crafted a design and formal language of truly poetic tenor, which will mesmerize our visitors when it opens on April 30, 2015. The forces behind this international network of creative talents have engaged in a dialog with the uniqueness of this location. 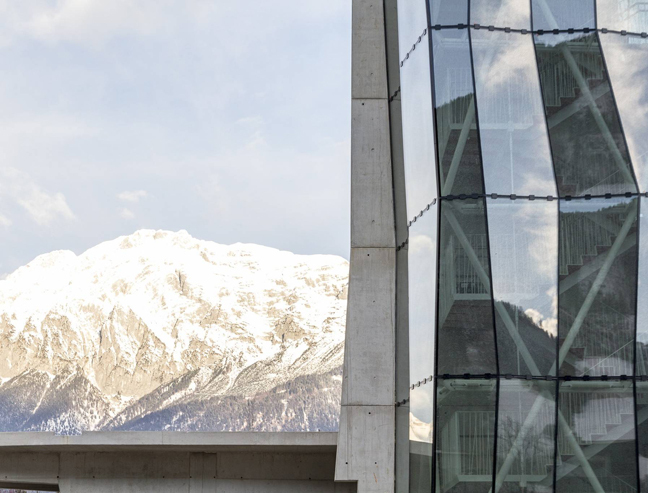 The rich abundance of facets that embody the Swarovski brand is reflected by the architecture of the new Swarovski Crystal Worlds“, says Carla Rumler, Cultural Director at Swarovski. Snøhetta has contributed with three main elements to the expansion; a playtower and adjacent playground, a shop entrance, and a café and restaurant area. 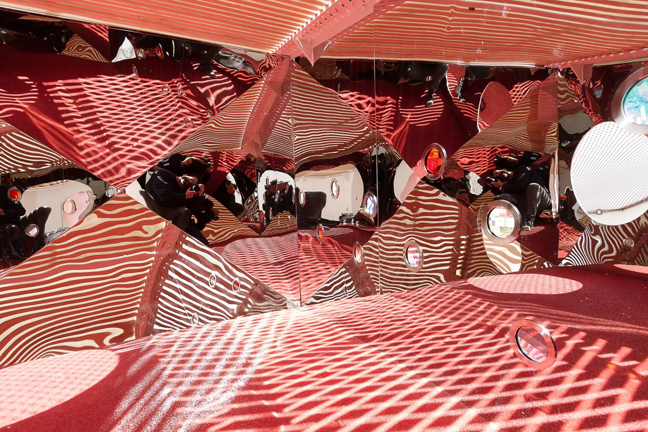 With the goal of having the expanded Swarovski Kristallwelten appealing to all visitors’ senses, with a particular focus on children, a new building typology has emerged in this project. Situated in the south end of the garden, the 20 meter tall playtower will foster a wide range of playing experiences on four vertically arranged levels, creating an innovative experience of space. 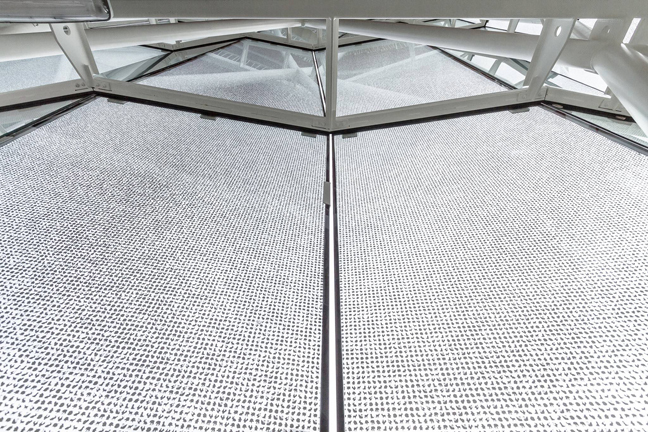 Here children can explore and play, and amongst other things, climb freely in a 14 meter one-of-a-kind climbing net. The tower’s façade consists of 160 crystal facets, where not two are alike. The panels are printed with an innovative pattern made from millions of tiny motifs that are linked to the history of Swarovski. The view from inside to the outside is visible at all times, just as the activities on the inside always can be seen from the outside. At night, the structure presents a spectacular body of light that magically enhances the reflections of the surrounding Crystal Cloud and Mirror Pool. 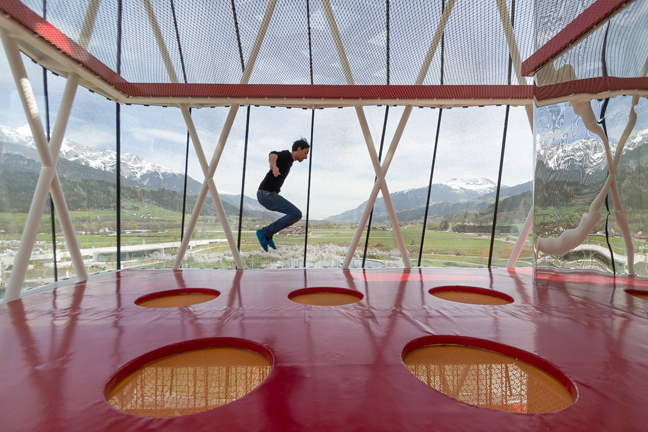 This area, for children of any age, is complimented by an innovative playground landscape under the open skies. 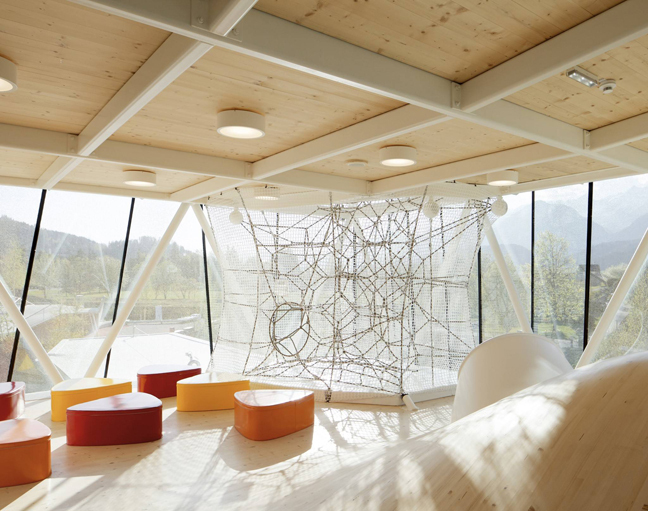 A free-form topography of steel and wood offers children an infinite number of ways to play. Not only is it possible to enjoy well-known kinds of activities, but children additionally have the opportunity to discover new games and forms of movement. The café and restaurant area is formed as a pavilion that is embedded into the garden, organically shaped concrete structure framing the views into the surrounding landscape. Gently swinging pillars and ceilings accentuate the impression of form and light. The bright surfaces and the material, set with Swarovski Crystals, produce an effect that is beyond compare. The newly designed shop entrance is crafted as a fascinating installation of light and sound, an emotional and virtual time travel. 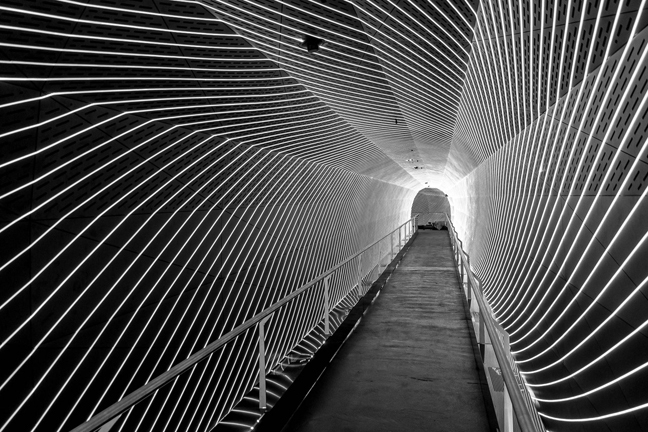 Kilometers of glowing fibers from a spiral-shaped tunnel lead the visitors into the new shopping area and an interactive sound installation expands the space with an additional acoustic dimension.